Eleanor R. Denning, 108, of Donnellson, died at 2:04 PM, Sunday, October 21, 2018 in Donnellson. Born November 5, 1909, in Franklin Township, Des Moines County, she was the daughter of John and Mathilda (Westerbeck) Schilb. On June 1, 1944, she married Conrad "Coonie" Paul Denning in Washington, DC. He died November 5, 1999. Following her education, Eleanor was self-employed as a beautician at many locations. She later became a Wave in the Military. 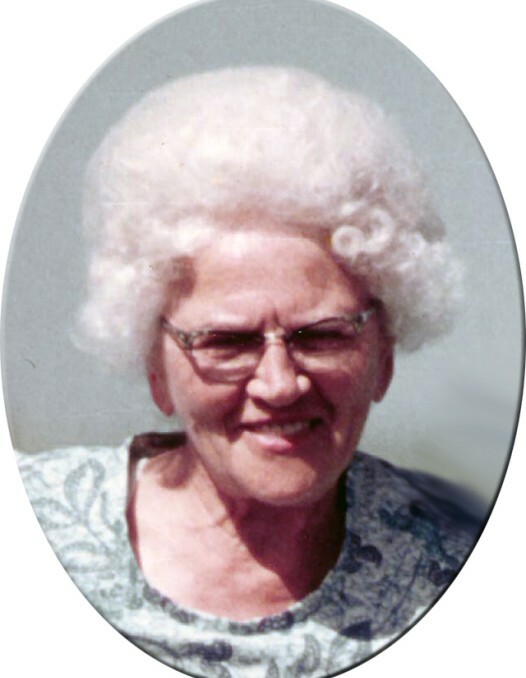 For most of Eleanor's life, she owned and operated a century farm with her husband. Eleanor and Coonie donated 200 acres to the State of Iowa for the Denning Conservation Area. In 2001, after the passing of her husband, she added a playground in her name at the conservation site. Survivors include six nieces; Tillie Colby, Billie Pollard, Hester Steele, Dorothy Remick, Delores Underwood, and Mary Blackburn: two nephews; Chris Schilb and Lewis Schilb; and her care taker and neighbor boy, Harold Moeller. Besides her husband, she is preceded in death by her parents, 6 brothers and 6 sisters. The family will receive friends from 10:00 AM until 11:00 AM, Friday, October 26, 2018 at Peace Lutheran Church, 13646 Beaverdale Rd, West Burlington, Iowa . The funeral service for Eleanor will be 11:00 AM, Friday, October 26, 2018, at Peace Lutheran Church with Rev. Kathleen Wohlers and Pastor Dean Graber officiating. Burial will be in Prairie Grove Cemetery next to her husband. Following the burial, a time of food and fellowship will be held in the fellowship hall at Peace Lutheran Church. A memorial has been established for the Denning Conservation Area.